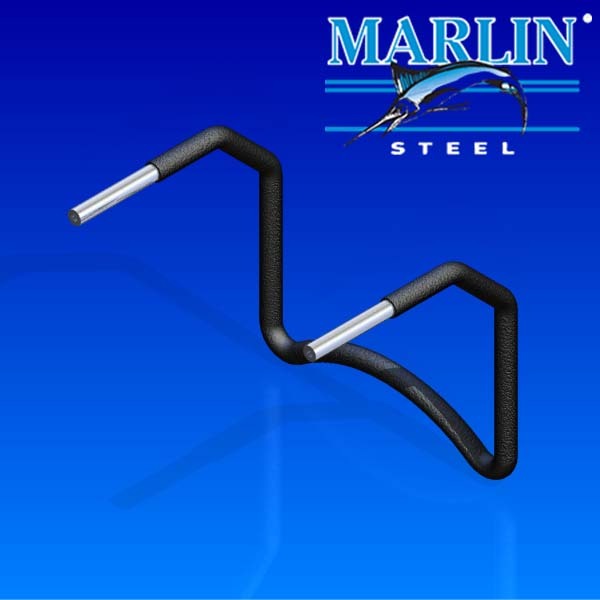 This is an internally threaded and coated wire handle. It has a diameter of 0.25" and an overall length of 3.87". The loop opening is 0.25" and has an overall width of 4.45". It features a black plastic finish and is made of stainless steel.